With Aquarelle, experienced specialists in international flower deliveries, you can send flowers anywhere in the world via our Aquarelle subsidiaries and our network of partner florists. Wherever you are in the world, send flowers to the people you love. With our international delivery service, we offer the perfect solution to all your flower delivery requirements, for your friends and family, wherever they are, anywhere in the world and for any occasion. Once you’ve chosen a country and an address, we will transfer your order to one of Aquarelle’s subsidiaries in Europe or to the closest local florist to the recipient, who will receive you delivery in the shortest time possible Don’t wait any longer to send flowers and spoil the people you care about, even if they’re overseas! Aquarelle puts all its experience and expertise into offering you a large selection of fresh flower bouquets you can send to your friends and family all over the world - roses, orchids, peonies, jasmine, lisianthus and more - as well as our scented candles, chocolates and confectionery, so you can spoil someone whenever the mood takes you. Don’t miss an opportunity to wish someone a happy birthday, send your congratulation for a wedding or a new baby… You too can opt for an international flower delivery with Aquarelle! In every country, flowers are the gift of choice for every kind of occasion: weddings, christenings, funerals and condolences, birthdays, Valentine’s Day, Christmas and New Year, to name but a few. Choosing a beautiful bouquet of flowers is a stylish way to express your feelings, particularly with the timeless language of flowers. And the further away you are, the more the person receiving it will be touched by your gesture of love and affection. On our site, you’ll find a large choice of flowers and bouquets, floral compositions and a variety of plants. Today, there’s nothing to stop you spoiling the people you care about, your friends and family, wherever they are, in any country. Whatever the occasion, express your affection and send your most beautiful messages all over the world. We’ll take care of everything! 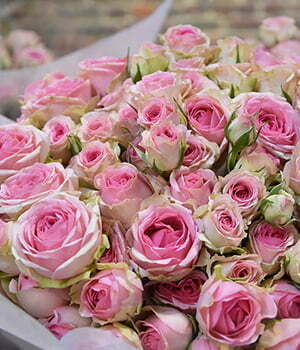 With Aquarelle’s international network, we offer lots of ways of delivering flowers to every continent. Never miss an opportunity to spoil someone again! Explore our collection of seasonal bouquets and we will take care of delivering your flowers abroad. 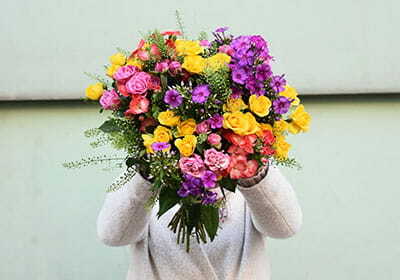 We’re sure that you too will opt for an international flower delivery!